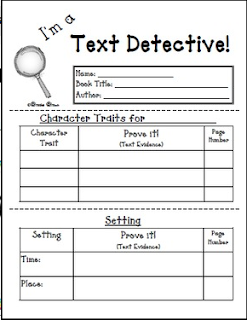 Copy this FREE product front to back, cut apart on the dotted lines, and staple into a mini-booklet for students to instantly respond to any fiction text! Perfect for use during literacy centers, guided reading, or whole class instruction. Students are asked to write responses AND back them up with text evidence as aligned with ELA Common Core State Standards (Grades 2-4). If you like this product, you'll LOVE my brand new NONFICTION VERSION at the following link! 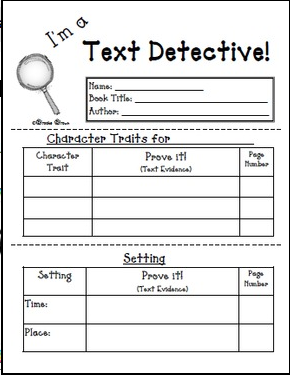 I'm a Nonfiction Text Detective! "Graphics &/or fonts copyright Dianne J Hook. www.djinkers.com."